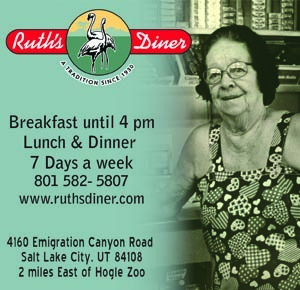 When late-night hunger pangs hit and you’re in need of noshes that don’t come through a drive-thru window, Salt Lake has plenty of options across the valley. From desserts and sweets to gastropub fare worthy of your dollars, here are five spots open into the wee hours of the night that will satisfy any craving. 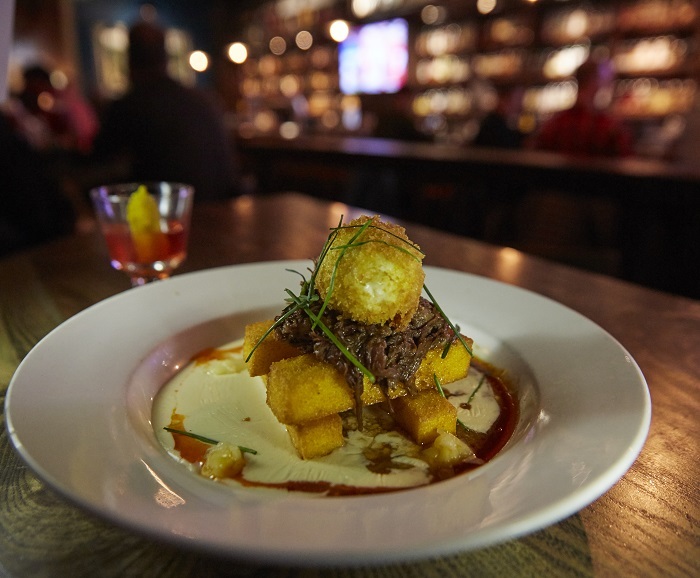 In Whiskey Street, customers will find some of the best “bar food” in Salt Lake City. 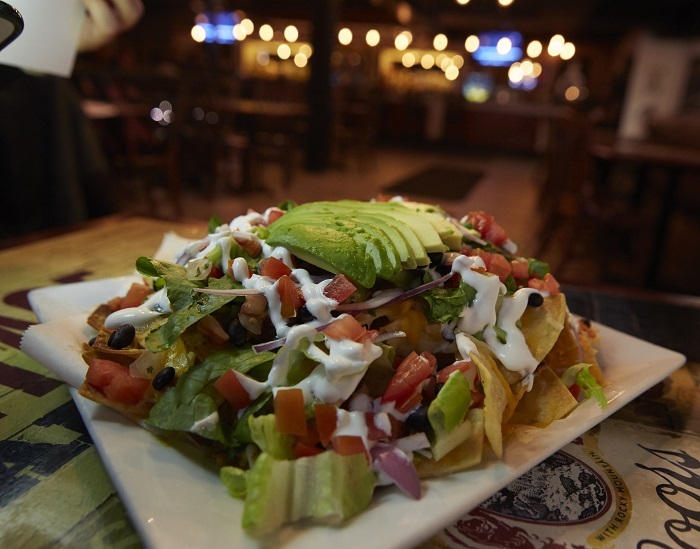 Owned by The Bourbon Group, who also shook up the scene with Bourbon House and White Horse, Whiskey Street serves up drinks and delicious eats until 1am seven days a week. Whether bellied up to the 72-foot-long cherry wood bar, or tucked into a towering booth, diners will love that the Whiskey Street menu features a whiskey, wine, and beer pairing for every food item they serve! Warm up with the roasted corn crab chowder studded with roasted corn and veggies along with fresh crab and a flourish of smoked paprika oil. Or snack on deviled eggs filled with creamy pimento cheese yolks dressed with crispy double-smoked bacon, pickled mustard seed for tang, and sprinkled with bourbon smoked paprika and fresh chive. 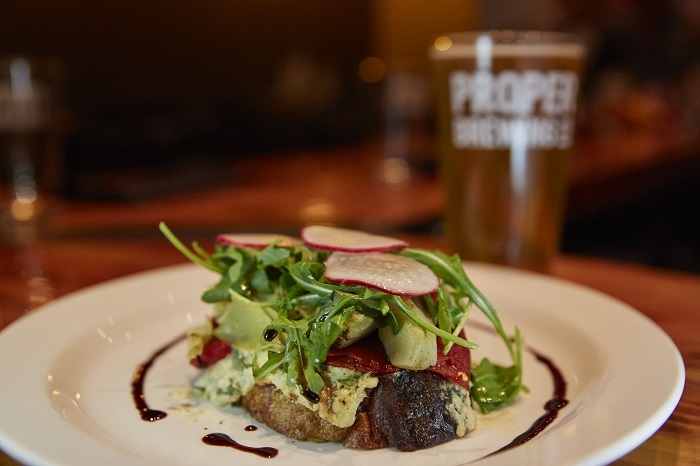 Heartier dishes include the decadent short rib grilled cheese, or the bourbon and coke meatloaf, to name only two. Open until midnight on Friday and Saturday nights, Avenues Proper is the ideal spot for downtown and Avenues dwellers to relax and unwind late into the evening. Fill up with the German-style sour wheat beer, Lake Effect Gose, and a spicy chicken sandwich with a housemade chicken sausage patty amped up with signature Sriracha sauce and zucchini pickles. Or, try the house veggie burger that looks to the Southwest for its flavor. The handmade burgers are filled with sweet potatoes, black beans, spices and egg, and deep-fried for a crispy-brown exterior. Ghost pepper cheese, pickled red onion, and poblano crema complete the vegetarian offering. Add candied bacon to the veggie burger—known in house as “the hypocrite”—or enjoy a vegan spinoff as well. Yet the dish that many guests crave no matter the time of day is the chicken and waffles. Housemade chicken sausage is layered with two sunny side up eggs on a fluffy waffle and drizzled with thyme-infused maple syrup. Kein Fleisch veggie burger with poutine fries. 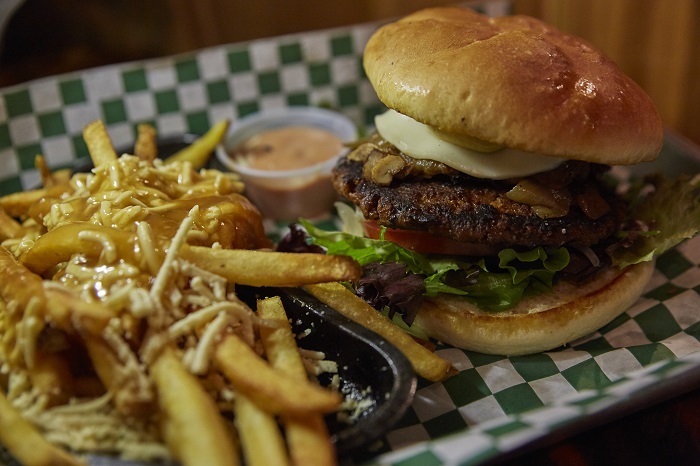 Head south to Murray for one of the best dive bar dining locations in the valley. Serving up drinks and food until 1am every day of the week, Ice Haüs features a menu heavy on German-inspired dishes, but also an entire vegan menu as well. Nosh on the Haüs pretzel topped with tangy beer cheese before diving into the juicy Haüs bacon burger or the Kein Fleisch (German for “no meat”) burger. This creation features a sliced vegan brat loaded with caramelized beer onions, sautéed mushrooms, sauerkraut, melted Chao cheese and German mustard. If burgers aren’t your jam, try one of the five brat selections like the spätzle, featuring chopped brats over a potato pasta slathered with a mushroom, onion and pepper gravy. Regular, garlic or Cajun fries or tots are served piping hot on the side. Wash it all down with Bohemian Brewery’s Munich Dark Lager. Open until 11pm on Friday and Saturday nights, Gourmandise is the answer for late-night sweet cravings downtown. European pastries and colorful desserts beckon to guests from behind the glass cases. 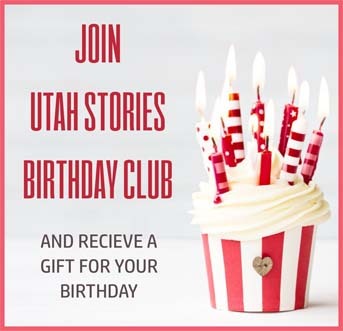 Sink your teeth into a classic éclair, a slice of marzipan, or something even more decadent like the baba au rum or pailletin. The selection is nearly endless. And, while the sweets might be the draw at Gourmandise, there are plenty of savory options to please everyone in your party. Piping hot pommes frites with an addictive roasted garlic aioli for dipping are great for snacking, while the brie bacon grilled cheese comes as a half or whole sandwich with gooey cheese, crisp bacon and apple butter spread on dense cranberry walnut bread. 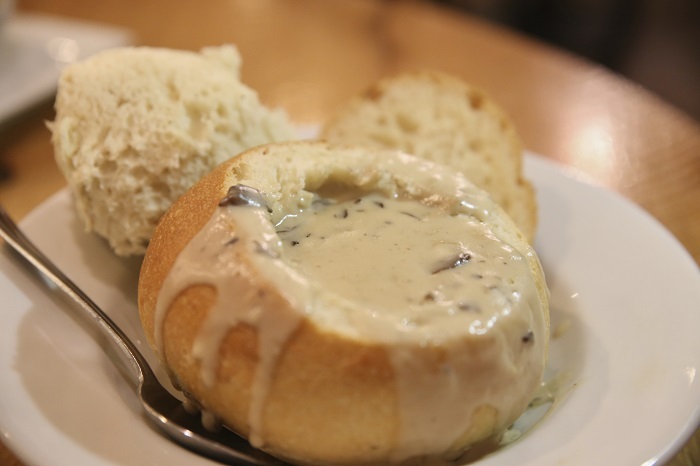 For heartier appetites, dig into the salmon en croute in a flaky puff pastry with rich, lobster cream sauce, or the slow-roasted tri tip steak accented with a burgundy gorgonzola pan sauce. 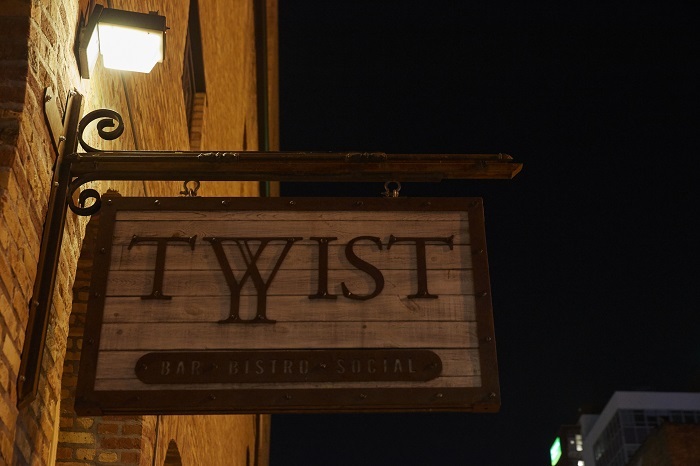 Housed inside a 19th century boiler room that adds a ton of charm and mystique to this basement bar, Twist puts an intriguing spin on most everything they bring to downtown Salt Lake City. Twist offers a consistent menu of appetizers, sandwiches and salads ideal for lunch or dinner, or sharing among friends until 2am every day of the week. If spicy bites interest you, try the bloody Maria green lip mussel shooters with a kicky house bloody Mary mix and quail egg, or the flash-fried wings with red miso chili. Warm up with filling sandwiches like the corned beef Reuben featuring a surprising smoked paprika dressing, or the delightful pancetta sandwich accented with tangy cracked pepper goat cheese and a balsamic reduction. Pair everything with signature cocktails or one of 40 local and craft beers. Visit Steven Vargo’s website to see more of his photography.